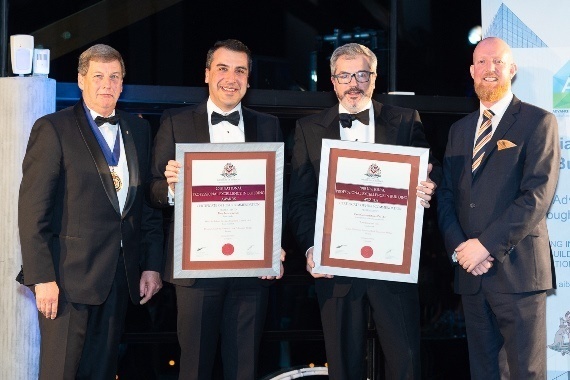 On Friday evening the Australian Institute of Building (AIB) hosted the National Professional Excellence in Building Awards for 2018. Held at the National Arboretum in Canberra, guests heard how impressed the judging panel was with the quality of the winning works, all of which had won their respective state and territory award programs. 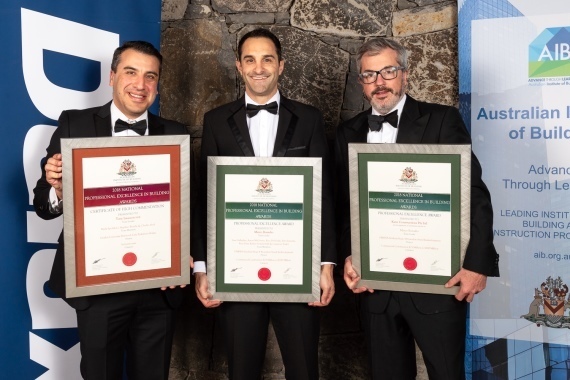 We were proud to see two of our team leaders receive recognition for their hard work in the delivery of two vastly different but equally challenging projects.